Animal Hospital of North Dover in Toms River, New Jersey, has caring veterinary technicians and other medical staff to ensure the safety of your cats and dogs. Get to know our hospital staff by reading their profiles below. After several years of working at a popular pet store chain, Kristina became a dental specialist in January 2012. 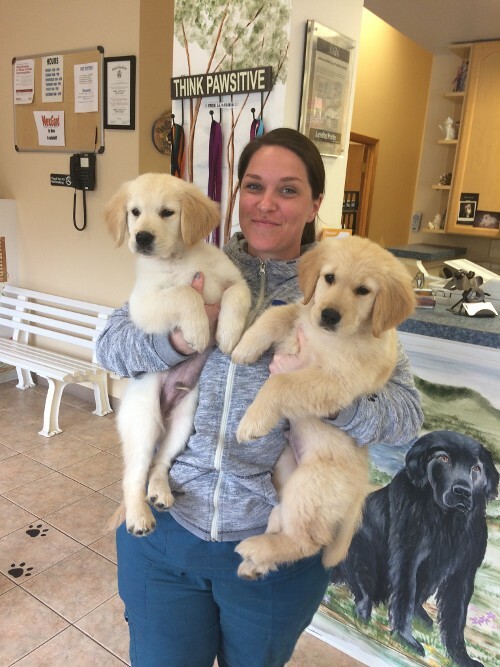 Wanting to expand her knowledge in the veterinary field, she decided to go to the Animal Hospital of North Dover in November 2013. As one of the veterinary technicians, she is able to educate people on the importance of taking care of their pets. Outside of the hospital, she enjoys movies, video games, and baking. She has a cat named Remy, and two Crested Geckos. 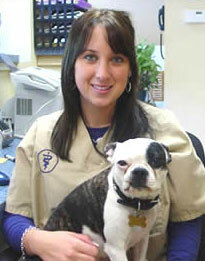 Aimee has been a receptionist for Animal Hospital of North Dover since September 2005. She enjoys working with the clients and their pets. She has an eight-year-old Silky Terrier named Buddy and hopes to have a Siberian husky puppy in the future. Her love for animals broadens her knowledge about pet care. 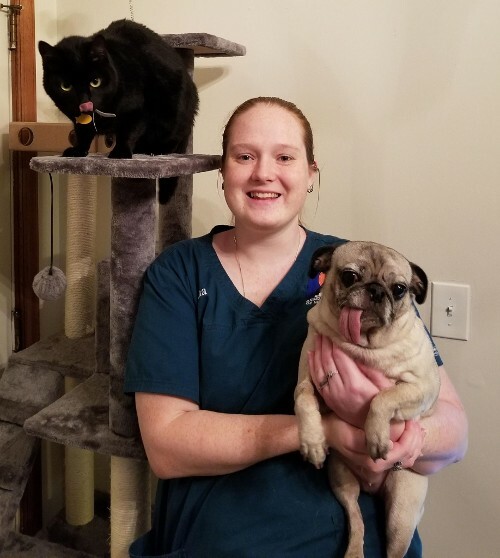 Nicole joined Animal Hospital of North Dover as a Technician November 2017. 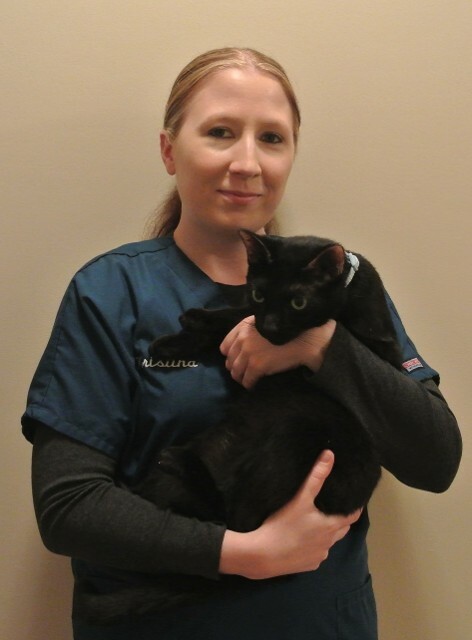 With almost a decade of prior experience as a Veterinary Technician, Nicole has experience in all facets of the technician role. In addition, she is an active Veterinary Surgical Assistant, Fear Free, and Animal Control certified. She has a Cane Corso named Tony Luigi, an Akita named Sifu, and a Domestic Short Hair named Oscar the Grouch. Outside of work she is a Girl Scout Troop Leader and enjoys spending time with her family, her love Charles, daughters Rhea and Koral. She is very outdoorsy and loves any activity that brings her closer to nature. She is eager to learn and asks many questions to expand her knowledge of her practice to provide her clients with the best possible service. Patricia-Ann joined AHND in December 2016. She has been involved in veterinary medicine in different capacities since 2005. She possesses a strong passion for client education, dentistry and dermatology She has always had a strong connection with all animals. She owns a blue Shar-pei, British, a Pitbull, Stoli, 2 cats, Puma and Diva and a 90-gallon saltwater tank. In her spare time, she enjoys anything outdoors and spending time with her husband, DJ, and son, Londin. 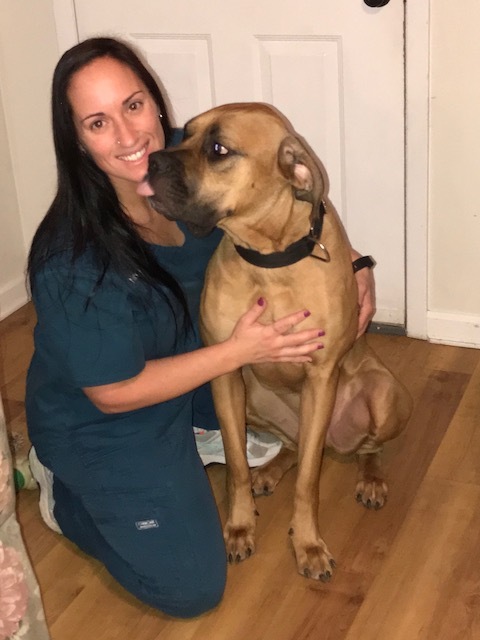 Ana started at the Animal Hospital of North Dover in 2018 as a Certified Veterinary Technician. In 2010, Ana was hired as a veterinary assistant in a small practice in Pennsylvania and realized she had a passion for veterinary medicine. She began attending Northampton Community College in 2012 to earn her Associates Degree in Science and passed the testing to become a CVT in 2014. Her husband, Josh found a job in his field and they moved to the shore together late in November of 2017. Their pug, Emie, and cat, Rin, made the move with them. In Ana's spare time, she enjoys knitting, reading and video gaming with her husband. Contact us in Toms River, New Jersey, to know more about our professional team including a veterinary technician.